Honda and Toyota have been two of the most popular and favourite four-wheeler manufacturer in India. Both these manufacturing giants have sold thousands of vehicles over the past few decades. Recently, Honda and Toyota have launched two new variants of the four-wheeler in India. The new Honda CR-V and the Toyota Fortuner 2018. The two premium quality SUVs have been creating an immense hype among the Indian consumers and they are ready to own these vehicles by the end of this year. Are you confused between these two vehicles? Then we have brought you the best buying guide where we will compare the two vehicles head to head. Why Honda CR-V Can Be Your Favourite? Better Comfort – the Honda line of vehicles has always been admired for their build and comfort. The same goes for CR-V. It is a very comfortable SUV with inclining seats in the front and enough leg space for the passengers in the back. Very easily can one adjust themselves without any cramps? More Equipment – if you want your vehicle to be loaded with different features then the Honda CR-V is the best option for you. The top variant of the CR-V has electric sun-roof, AVN system with GPS, six airbags, cruise control, hill-start assist, dual zone climate control etc. which the Fortuner does not offer to the consumers. More Cruising Ability – the Honda CR-V has much better cruising and steering abilities at high speed above 95 km/hr, than the Fortuner. The top end CR-V is also able to produce more power than the Fortuner and when you are on a highway, you will get the more comfortable spot to speed by. Why Toyota Fortuner Can Be Your Favourite? In this section, we will mention why the new Toyota Fortuner 2018 can be your option over the Honda CR-V. Better Off-Road Performance – the Fortuner has a much better off-road performance than the CR-V. It has the 4×4 transfer case which is able to handle bumps and rough roads very easily. The Fortuner also has a brilliant suspension which absorbs most of the shocks received from the surface. Better Fuel Efficiency – the Honda CR-V runs only on petrol and that is where the Fortuner beats it. The latter sips in diesel which is much cheaper than petrol and that are why you will get better savings and fuel efficiency over a long course of time. More People and Space – the Fortuner is a seven-seater SUV compared to the five-seater Honda CR-V. So if you want more people on board, then the Fortuner is your car. Even though the comfort level is not as equal to that of CR-V, there is surely enough room to sit without being cramped. Previous How to Maintain Diesel Cars? 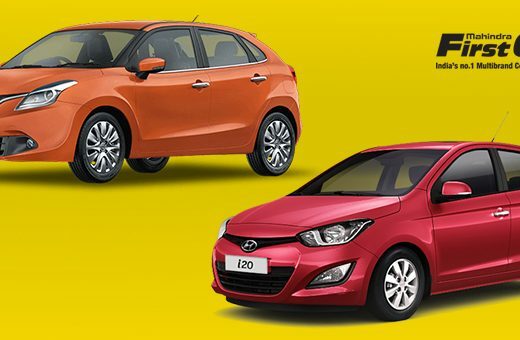 Baleno or Hyundai i20- What Makes For A Better Choice?